At Dental Care Center at Kennestone, we are always happy to see new faces come through our door. 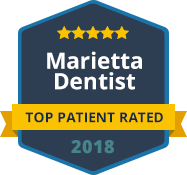 We welcome the chance to care for the smiles of our neighbors, whether you live in Marietta, Kennesaw, Sandy Plains or anywhere in Cobb County. 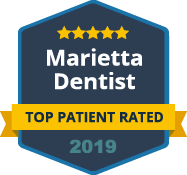 Our experienced and friendly dental team is here to make sure your first visit and every subsequent visit is comfortable and convenient for you and your family. As a new patient, you may have some questions about what to expect when you join our practice at Dental Care Center at Kennestone. We want you to feel comfortable with choosing our dental team for your oral care, so we have put together some basic information for our new patients. Check out the following pages on our website to learn more about our practice before your first visit to our office. It is our goal to make dental care as stress-free and convenient as possible for you and your family. We work with you to utilize any dental insurance benefits you have so your dental care is affordable. Payment options are also available, and we offer convenient scheduling. It is easy to book online or call one of our friendly team members to schedule your visits. You can also fill out the new patient forms online to save time during your first visit to our office. Welcome to Dental Care Center at Kennestone, and thank you for joining our dental family. Let us know if there is anything we can do to make your first visit more comfortable or convenient. Make sure to check out the new patient specials we offer for extra savings during your first visit. We look forward to meeting you and your family when you come in for your initial checkup. Contact us today.